In high school, teachers always stressed the importance of writing an outline before beginning your essay, but how many of us really took the time to do this? I remember waiting until the night before it was due to start on the paper. However, in college, it’s harder to get an A if you wait until the last minute. Professors aren’t as lenient about poor writing, and they expect papers to flow logically. 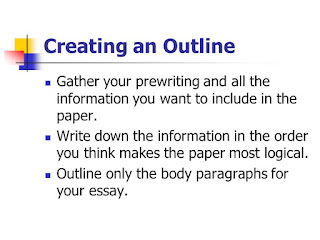 Creating an outline can not only help your paper flow, but it’s an easy way to get your paper done without experiencing writer’s block! Outlines don’t always have to be structured in the way you were taught in school (using alphanumeric symbols, etc.). In fact, the best way to outline is whatever comes naturally to you. 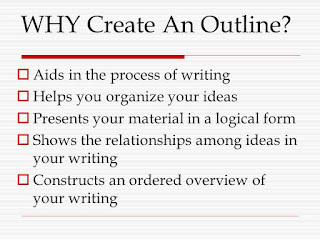 Outlines are meant to be helpful, but they are often seen as useless by many students. The problem, in my opinion, is the way we are told to outline in school. For me, using Roman numerals can be just as confusing as writing the paper without an outline. Also, I was told to use phrasing instead of complete sentences for my outlines. However, I have found that writing my entire thoughts in complete sentences makes it much easier to write the paper, because the sentences were already done. I almost always hand write my outlines. I keep a spiral notebook that is used only for outlining, and I am able to write ideas as they come to mind. Usually, when I am given a writing assignment, I immediately think of some points that I want to be sure to include in the paper. I write these ideas down (in complete sentences), and each of them start on a new line. Then, I go back and write numbers next to each sentence/idea in the order I want them to appear in my paper. It’s not always convenient to have your computer ready when you think of an idea for your paper. Having a notebook to quickly write down ideas is a very useful tool. Jerry was born in Philadelphia, Pennsylvania in December on a very cold winter day. When he was two years old, his father died in a car accident. He had three older sisters that helped his mother. I met Jerry in the second grade and we have been friends since then. We had many adventures during recess. In high-school, we dated the same girl. He studied journalism in college. We enjoyed staying up all night discussing the writings of Lenin and Marx. Jerry is now a successful lawyer in Washington, DC. He earns more in one month than I earn in a year. These few short sentences will give me ideas for about three or four paragraphs. I could expand on the day he was born, and what the weather conditions were like. I could talk more about his father and explain how Jerry didn’t get the chance to know him very well. I could expand on his three sisters and their lives, or I could talk more about his mother and how her life influenced him. Just having this brief outline makes it easier when it’s time to write the paper. I could go in a lot of different directions. Finally, be sure to read your paper after every 2-3 paragraphs, and then read it again when it’s complete. I’ve talked to many students that mention never going back over their papers and editing after the first draft. 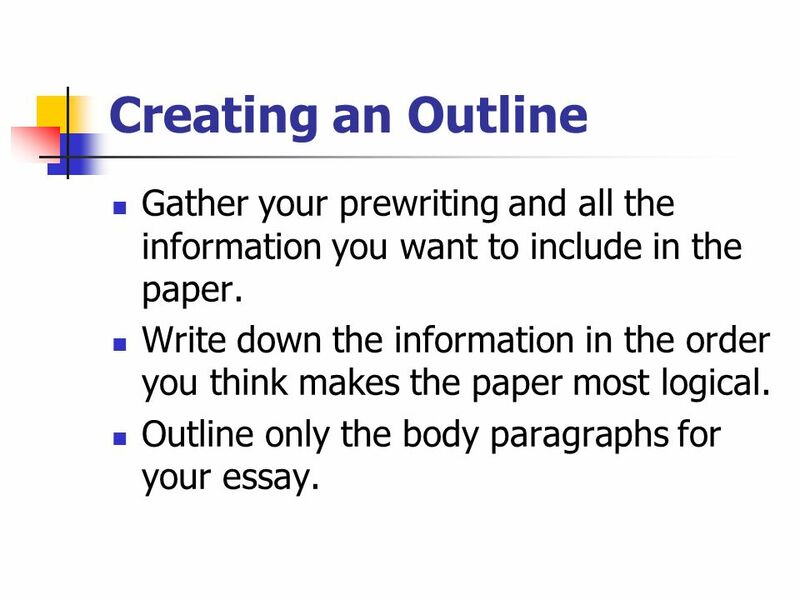 If you aren’t the type of person that works well with outlines (as many of us aren’t), then treat the first draft of your paper as your outline! You may be a good writer, but papers are never perfect the first time through. You may realize some points you left out, some points you’ve repeated too much, or maybe that a paragraph that you wrote at the end would fit much better in the beginning of your paper. In Microsoft Word (and many other word processing programs), there is an option to highlight. This is a very helpful tool when you go back to read your paper, because you can highlight words or sentences that may need improvement (as an easy reference to go back and correct them later). 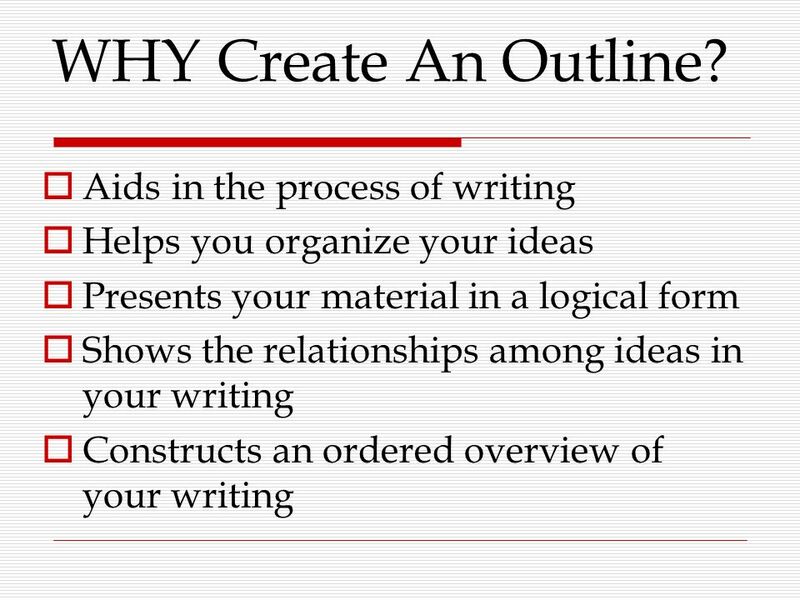 No matter what method of outlining works best for you, there’s no denying that making a detailed outline before you begin writing is the best way to present your ideas in a clear, precise, and logical order. A well developed outline will save you a lot of time in the revision process, reducing the number of times that your ideas will need to be rearranged after you've written them.